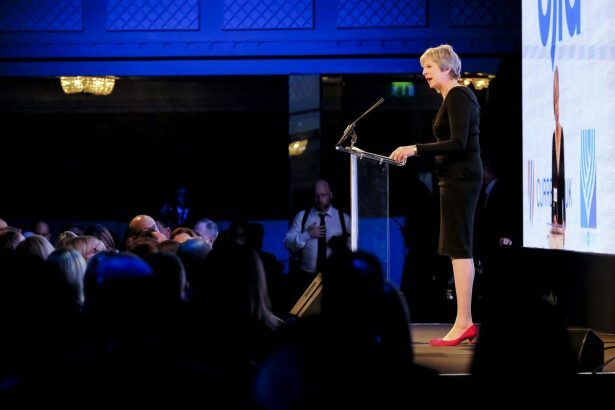 Prime Minister Theresa May speaking at the annual UJIA dinner, 18 September 2018. 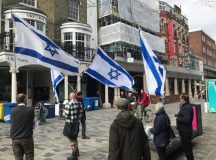 Mick Davis: The British Jewish community’s discourse around Israel is now so polarised, vicious and impoverished that it constitutes a long-term existential threat to the community. 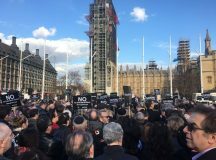 The centre ground for British Jews is under attack. An emergent Jewish hard-left, virtually indistinguishable from the anti-Zionist far-left in its animosity towards Israel, seeks to drive a wedge between the Jewish community and the Jewish state. An emergent Jewish hard-right, meanwhile, uses increasingly aggressive tactics to intimidate and censor those members of the community who recognise an urgent need to debate Israel’s current direction of travel and who worry about the effect this drift has on our community and our relationship with Israel. The polarisation within the community is of course complicated by events both in Britain, particularly the rise of Jeremy Corbyn and with him the antisemitic anti-Zionism of the leadership of the British left, and in Israel, primarily through the increasingly right-wing actions and rhetoric of the [Prime Minister Benjamin] Netanyahu government, as exemplified by the Nation-State Law. 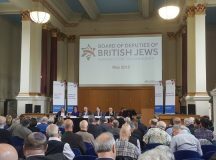 Despite the pressures on the community, however, from both its own fringes and from developments in both the UK and Israel, there are, I believe, certain values and attitudes that remain consensus positions for a majority of British Jews. 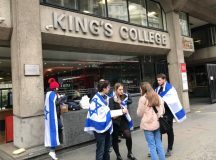 It is three years since the Yachad funded research undertaken by Ipsos Mori and published by City University on the attitudes of British Jews towards Israel, which revealed that 93 per cent of British Jews considered Israel as playing a central role in their identity and 90 per cent supported its right to exist as a Jewish state. At the same time, 75 per cent identified settlement expansion as an obstacle to peace. Thus in 2015, for an overwhelming majority of Jews who felt a vital connection to Israel, that connection did not blunt their critical faculties. A strong belief that Israel should always seek a lasting solution to the Israel/Palestine conflict. Tensions certainly exist between those values; our unwavering belief in the legitimacy of Israel’s Jewishness, and our commitment to its right to defend itself are often in a state of tension with our commitment to its democratic values, all the more so in the current situation in which Palestinians do not have self-determination. But any attempt we make, as a community, to express concern regarding threats to Israel’s democracy from within, will be doomed to failure if we lose sight of our commitment to Israel’s legitimacy – the battle for which has tragically and depressingly not yet been won, and to its right and need to defend itself from very real threats. The majority of the community therefore faces an ongoing struggle to preserve all four of these values and place them at the heart of our engagement with Israel, even when they are in tension with each other. If we neglect one or other of those values, the community risks not only undermining its connection with Israel, a connection that is vital to the sustainability of a Jewish community, but losing its soul. MD: Voicing concerns regarding Israel is not only acceptable, but vital for our consistency and integrity as Jews. It is vital for a dynamic, strong Diaspora community to maintain a robust and resilient Zionism and to be authentically and committedly engaged with Israel, but that is only possible if it is grounded in reality, intellectually honest and rooted in our values. Firstly, it needs to take place within the framework of the values set out above. What is unacceptable is criticism that challenges the legitimacy of Israel as the nation state of the Jewish people and the connection of the Jewish people to it, or that fails to acknowledge or empathise with Israel’s obligations to defend its citizens. Secondly, it needs to be based on facts, not on the lies propagated by Israel’s enemies. We must remain alive to the reality that opponents of Israel continue to pump out lies, hatred and incitement about Israel’s actions. And during a crisis, in the digital age, the lies can poison the discourse quicker than they can be refuted, which they often have been as hard evidence comes to light. Hence the ‘Jenin massacre’. Hence the ‘civilians’ killed attempting to breach the Gaza border in May, only to be claimed by Hamas as mostly its own operatives two days later. It would be at best naïve, given the slew of hatred and deceit to which Israel is subjected, to always believe the worst. One of the notable aspects of the ‘Kaddish for Gaza’ debacle was not only the objectionable and provocative form it took, nor its location – which in Parliament Square appeared as an act of public disavowal of Israel rather than constructive engagement with it – but that it ignored the evidence presented by Hamas itself of the large number among the dead who were involved in terrorist groups. Thirdly, our criticisms should not take place within environments that are fundamentally hostile to the basic premise of Zionism and the basic needs for legitimacy and security of the State of Israel. There is no point raising criticisms of Israeli policy – be it over settlement expansion, callous treatment of asylum seekers, home demolitions or attacks on the NGO sector – in arenas that are hostile not only to Israel’s actions but to its existence. I would never, for example, urge the British government to vote against Israel at the UN even if the resolution on its own might merit such consideration, because the UN is a hotbed of delegitimisation where a strong diplomatic alliance between Israel and the UK is essential. There is no room for nuance in a snake-pit. Yet within these parameters, British Jewish criticism of Israel’s government is acceptable, essential and long overdue. We cannot simply park our values at the door when it comes to Israel. The Jewish people might not be citizens of the State of Israel but we are stakeholders in it. Our Jewish identities are shaped in no small part through attachment to Israel. Decisions Israel takes have a direct impact on our community and its sustainability. When we see developments in Israel that affront our values – Zionist, Jewish and democratic – we undermine our integrity as Jews and as supporters of Israel if we remain silent. How, for example, could a community that values compassion to asylum seekers not be disturbed when asylum seekers in Israel are vilified by mainstream politicians? How could we not see alarm bells when Israel’s senior politicians vilify the New Israel Fund and the entire NGO sector when in any other country in the world we would recognise that vilification as an attack on the civil society institutions that are fundamental to the fabric of any democracy? And as Israel’s most authentic advocates and supporters around the world, we have an obligation to point out when our talking points no longer make sense. Israel’s demonstrable support for a two-state solution was long the most effective tool in our advocacy arsenal. Yet, if in 2018 we’re still relying on Netanyahu’s Bar Ilan speech of 2009 to provide evidence of that support, then Israel’s government has left us denuded. We have both a right and a duty to ask it for our clothes back. There is, however, a much larger question regarding the relationship between Israel and the Diaspora. We need to look at what it is to be Jewish – at the foundations of Jewish identity itself. The connection between Israel and the Diaspora is crucial to the Jewishness of both. Living in Israel, for instance, doesn’t make you Jewish – it makes you Israeli. But if Israel is not the Jewish state – if it acts with complacency in terms of its connection to the rest of the Jewish People – then what is it? Meanwhile, how can a Diaspora community be truly Jewish if it is disconnected from the greatest achievement of Jewish peoplehood for 2000 years, the State of Israel, now home to a plurality of the world’s Jews in our eternal homeland? For the Diaspora Jew, connectivity to Israel keeps them Jewish. 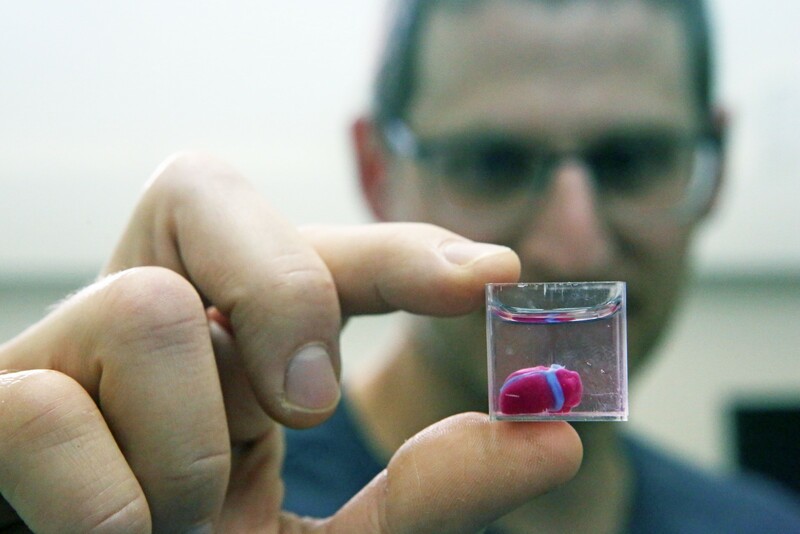 For the Israeli Jew, the same can be said of connectivity to the Diaspora. The relationship between Israel and the Diaspora is crucial to the survival of the Jewishness of both but the foundations of that relationship are rotting and need urgent repair. 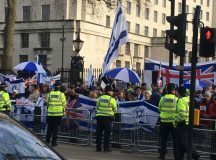 At present, British and indeed all Diaspora Jews are receiving a mixed message from the government of Israel, which is relevant to any consideration of the effectiveness of British Jewish criticism of Israel. 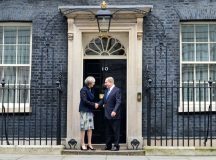 On the one hand, the prime minister presents himself as speaking on behalf of the Jewish people; on the other, he seems increasingly disinterested and disdainful towards the values that large sections of that people hold dear. In 2015, in France for instance, as the community came together following the terrorist atrocity at the Hyper Cache supermarket, the French Jewish response was a spontaneous rendition of La Marseillaise. Netanyahu’s response was to tell them they had no future in France. Similarly, in 2017, painstaking negotiations over prayer rights at the Kotel for non-Orthodox streams of Judaism were contemptuously swept aside. Some see this is the product of a line of thinking that envisages the disappearance of Diaspora communities beyond the strictly orthodox, and that considers evangelical Christian-Zionists a more reliable and less kvetching long-term partner. Such a calculation would be a tragic indictment of the commitment to the Jewish people of its self-professed leader and it would undermine Israel’s automatic alliance with the Jewish Diaspora. Against this background of repeated displays of contempt for the Diaspora it begs the question: how can any criticism be effective when Israel’s government is prepared simply to ignore us? Yet we cannot hold our tongue indefinitely in the face of what constitutes an existential threat to the Jewish People – not from without, but from within. In Israel the politics of bigotry has overwhelmed the democratic ideals of the declaration of independence. The Knesset debates and passes racist laws while cabinet ministers malign communities and the vulnerable in their quest for personal advancement. Across the Jewish world the divide between Jews of different persuasions grows and each seeks to delegitimise the other with increasingly violent language. Words are potent weapons, and the language of the extremes threatens our future because it drives people away and the age old fear of assimilation becomes an ever larger reality. It is incontestable that many young Jews today across the Diaspora are confronting a dichotomy between their own (Jewish) values and the rhetoric and actions out of Israel. The result is alienation and if this continues or worsens then we face a fracturing of the Jewish People. To say nothing would be an abrogation of our responsibilities to each other. This is an argument for the soul of the Jewish People and we need to be engaged in it. 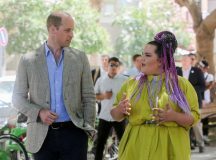 MD: I approach this as someone who has previously been accused of ‘giving succour to our enemies’ from the moment in 2010 when I first voiced some criticism of the already apparent direction of travel of the Israeli government under Prime Minister Netanyahu. At that time, many other Jewish leaders would have privately recognised and shared my concerns but remained silent. After eight years of further deterioration and stagnation, others from within the Diaspora Zionist mainstream have started to speak up too. Many would have held back, and indeed, I have often held back, because we don’t wish to ‘give a tail wind to those who demonise Israel’. The idea that many of us, who have engaged passionately through activism, philanthropy and dedicated support for Israeli and Zionist causes over decades, are somehow oblivious to this risk is not only derisory but false. Criticism does not come out of the blue. It comes after years of Zionist leaders raising concerns in private but being ignored. It comes after years of seeing young Jews drifting away from Zionism in a way that places the unity and longevity of our communities at risk. 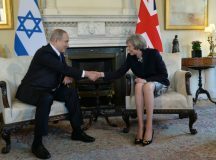 When making our concerns public, the question to ask is this: what is more likely to give a tail wind to the demonisation of Israel – the criticism of a specific Israeli policy or action, or the policy or action itself? What is more likely to further the nefarious goals of those who demonise Israel: a Nation-State Law that neglects the ethos of equality enshrined in Israel’s Declaration of Independence, or the President of the World Jewish Congress, Ronald Lauder, publishing restrained and thoughtful criticism of that law in the New York Times; the fact that Israel’s cabinet contains within it parties and politicians actively promoting the annexation of the West Bank, or Charles Bronfman, who through Birthright has done as much as anyone to promote the bonds between Israel and the Diaspora, expressing his anguish as to what such a policy would mean for Israel’s future as a Jewish and Democratic state? 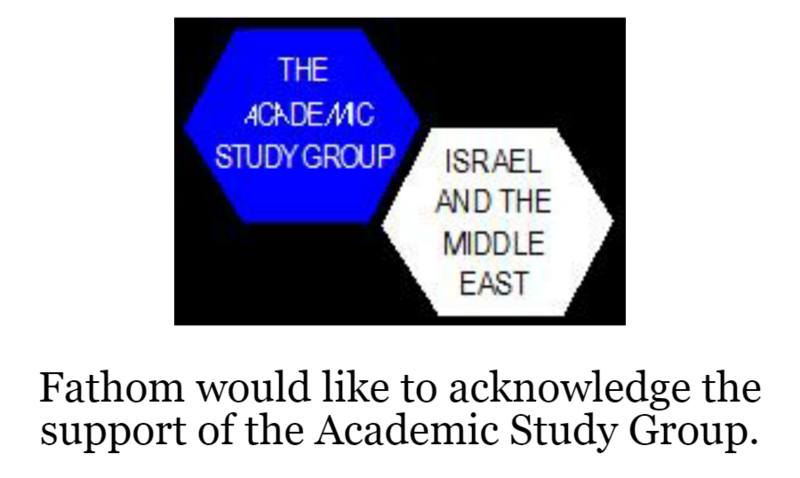 I would suggest that it is the policies, rather than the criticisms of them, that empower Israel’s enemies. Criticism that takes place within a Zionist values framework, from Jews whose very heart and soul is enmeshed with Israel’s existence, endurance and success as a Jewish and Democratic state will never hold much appeal for those who demonise Israel. Because within our criticisms, is a central premise that is repulsive to Israel’s foes, which is a celebration of Israel as the nation-state of the Jewish People and a concern for its future that is based on that premise.